Hachoirs à viande électriques Tom Press par Reber. Les exigences qualité de Tom Press. Votre charcuterie "maison" réussie avec les hachoirs à viande Tom Press par Reber. 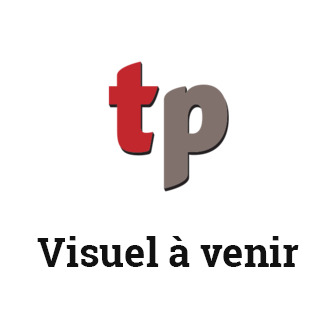 SAV Tom Press - Garantie de 3 ans. 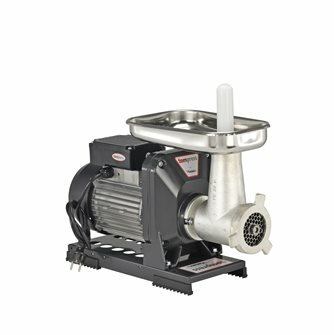 Tom Press electric meat grinder n ° 12 by Reber, 500 Watts, 60 to 100 Kg / hour. Suitable for passing the equivalent of a whole pork. Tom Press is approved by France and Benelux by Reber. 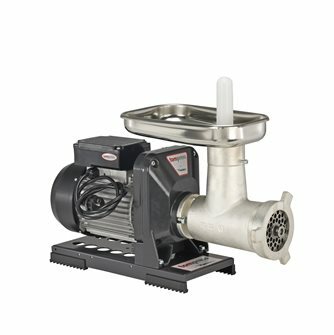 Tom Press electric meat grinder by Reber type 22, 600 Watts, 80 to 120 kg / hour. Classic model for family charcuterie. Tom Press is approved by France and Benelux by Reber. Tom Press grinder by Reber type 22, 600 Watts, short body, 80 to 120 kg / hour. Tom Press is approved by France and Benelux by Reber. 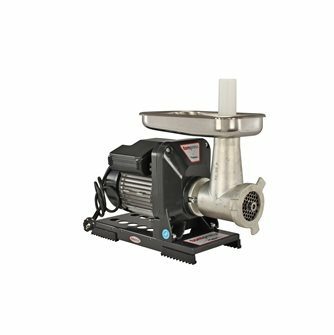 Tom Press electric meat grinder by Reber # 32 with steel gears, 1,200 W, 100 to 150 kg / hour. Tom Press is approved by France and Benelux by Reber. 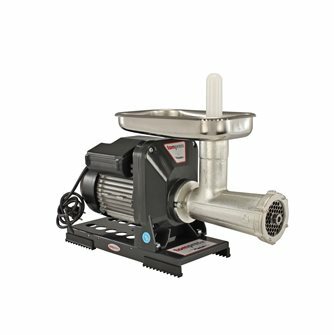 Tom Press electric meat grinder by Reber n ° 22, 1200 Watts, short body, 100 to 130 kg / hour. 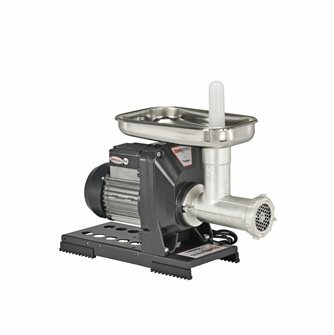 Tom Press electric meat grinder by Reber type 22 stainless steel, 1200 Watts, short body and worm in stainless steel, 100 to 130 kg / hour. Tom Press is approved by France and Benelux by Reber.